DREAM Worship is excited to announce the release of The Sound Of Jesus, the debut album byAaron Bagwell. The Sound Of Jesus is an honest and heartfelt spirit-filled album sure to encourage and uplight your day. With songs like “My Everything” and “Saving Grace” this album is a must have in your library and at your church. Purchase the the album on iTunes here! You can also text AARON to 51555 to purchase the album! “I am thrilled to have signed with Dream Records and to be working with such amazing talent. Dream is unique because they are very involved in the artist publicly and privately. Integrity is at the heart of Dream’s mission to not only produce great music but have great hearts behind the songs. The Sound Of Jesus is a unique record as it was written for the church to sing but produced with a sound to draw people outside of the church. It is a mix of upbeat, pop sounding beats with a mix of deep, intimate worship through the lyrics. Pastor Aaron Bagwell has been in full time ministry since he was 15 years of age. Beginning as a praise and worship leader for his father, Dr. Tim Bagwell, he grew into a multi-faceted leader working and leading every part of the church under his father’s covering. Pastor Aaron is a 3rd generation pastor called and raised in ministry by God. Music has been a passion of Aaron since he was a young teenager. Learning to play piano at age 9, Aaron began playing with the worship team at church. At age 15, Aaron began leading worship for an 800 member church and has continued to work in full time music ministry ever since. 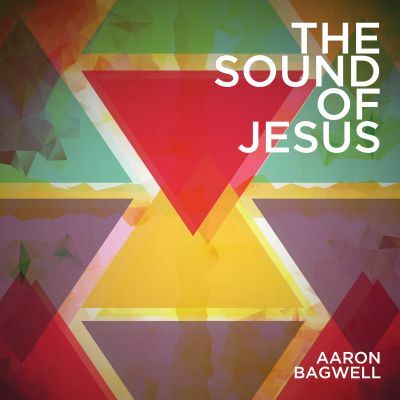 The Sound Of Jesus is the latest release by Aaron Bagwell. This is a worship project with the vision of a modern sound for the church. This project is designed to draw people closer to God whether they are in church or they are unchurched. Posted on July 23, 2014 at 12:41 am in Louie Giglio	| RSS feed You can	trackback	from your own site.